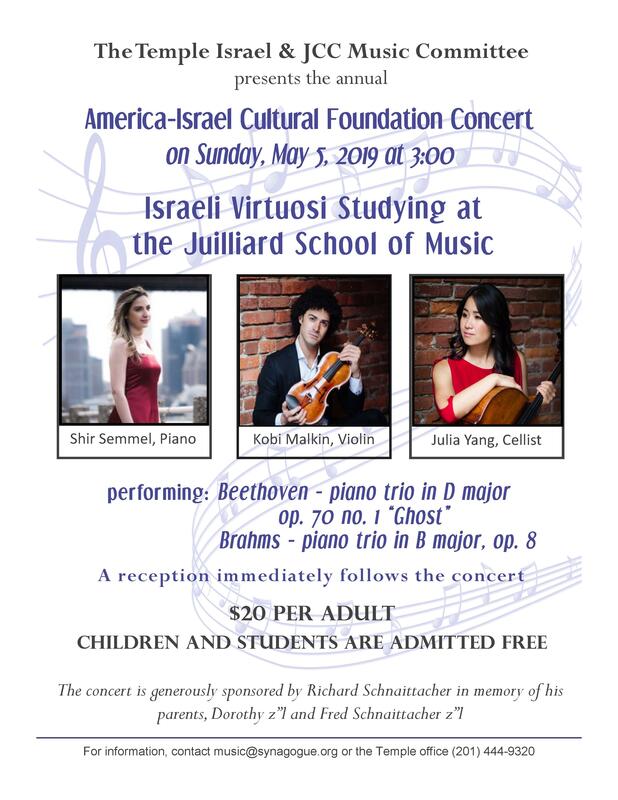 Three talented young Israeli virtuosi will perform pieces by Beethoven and Brahms. A dessert reception will follow. $20 per person; children & students free of charge.